CARFAX One-Owner. Clean CARFAX. Deep Ocean Blue Metallic 2015 Chevrolet Silverado 1500 LT Crew Cab 4X4!!! 4WD 6-Speed Automatic Electronic with Overdrive EcoTec3 5.3L V8 2015 Chevrolet Silverado 1500 LT in Deep Ocean Blue Metallic, ONE OWNER, NAVIGATION GPS NAV, Navigation/GPS, EcoTec3 5.3L V8, 6-Speed Automatic Electronic with Overdrive, 4WD, Alloy wheels. This vehicle is under factory warranty from the original owner. Recent Arrival! Odometer is 5274 miles below market average! 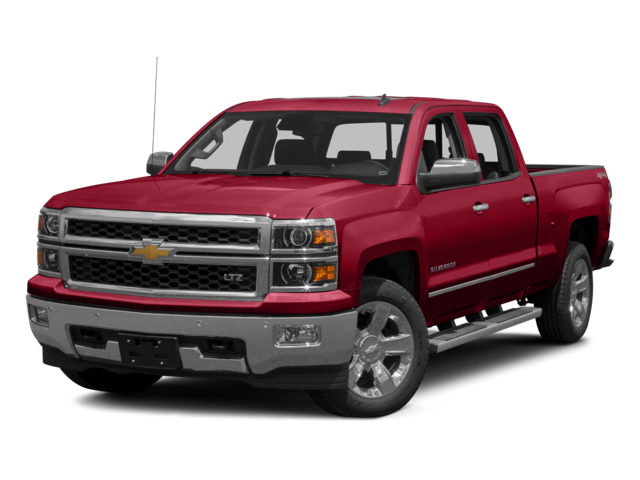 Hello, I would like more information about the 2015 Chevrolet Silverado 1500, stock# 8R846B. Hello, I would like to see more pictures of the 2015 Chevrolet Silverado 1500, stock# 8R846B.